Seven Monster Energy NASCAR Cup Series drivers/teams were docked time in opening practice at Las Vegas Motor Speedway on Friday as team prepared for Sunday’s South Point Hotel & Casino 400. 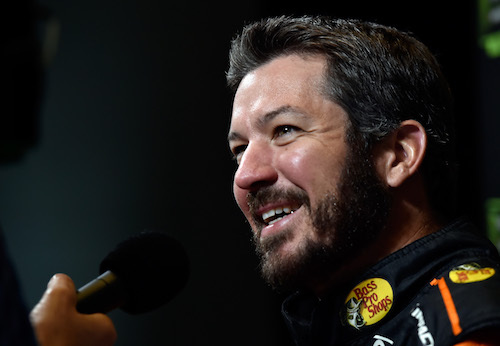 Martin Truex Jr.’s No. 78 Furniture Row Racing team and Daniel Suarez’s No. 19 Joe Gibbs Racing team received the most significant penalties, each losing 30 minutes of practice time. Their penalties were the results of pre-race inspection issues the previous weekend at Indianapolis Motor Speedway. Truex’s team failed pre-race inspection three times and Suarez’s team four. The No. 3 Richard Childress Racing team of Austin Dillon, the No. 7 Premium Motorsports team of Reed Sorenson, the No. 42 Chip Ganassi Racing team of Kyle Larson, the No. 51 B.J. McLeod Motorsports team of B.J. McLeod and the No. 15 Premium Motorsports team of Ross Chastain each were docked 15 minutes of practice time. Dillon’s team was penalized for failing pre-race inspection at Darlington, and Sorenson’s team for a pre-race inspection issue at Bristol. Those penalties were delayed as a result of the cancellation of both practice sessions at Indianapolis because of rain. Larson and McLeod’s teams were penalized for being late in presenting their cars for inspection, and Chastain was penalized for missing a rookie meeting.